A 25-year-old naked woman was arrested after, police say, she undressed and entered a stranger’s home through a doggy door. According to a Weatherford, Texas police report, officers were called to a home Tuesday in reference to an intruder. A woman living at the home told police that her husband heard a noise, got up and found the doggy door damaged. Because they don’t have a dog, the couple assumed an animal had gotten in the house, according to the probable cause affidavit. However, they then discovered an unknown woman sitting in the bathtub naked. The responding officer reportedly found a woman, identified by police as Sara Elizabeth Soto, and a black dress that she had been wearing outside the home on the back porch and allowed her to put it on. Soto, listed on her arrest record as 4 feet, 11 inches tall and weighing 110 pounds, said she had done nothing wrong and was there to use the phone, according to the arresting officer. After being read her Miranda warnings, she reportedly declined to answer questions. Soto was charged with misdemeanor criminal trespass and criminal mischief and remained in the Parker County Jail on $4,000 bond as of Tuesday evening. Posted on April 24, 2013 by US Bail Bond Directory. 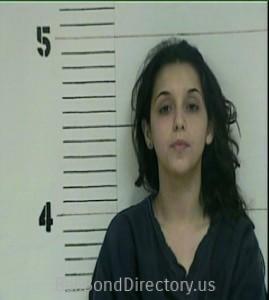 This entry was posted in Arrest and tagged dog door, mischeif, naked, Parker County, Texas, trespass, Weatherford. Bookmark the permalink.